The end of January sees a wide variety of cultural performances come to Windsor and Maidenhead, from West End comedies to guitar heavy gigs. From the 21st  25th January, visitors to the Royal Borough of Windsor can revel in the highly-acclaimed comedy, Fallen Angels. The Noël Coward play, which enjoyed a fruitful autumn tour in 2013, will continue touring this spring  visiting Maidenhead along the way. 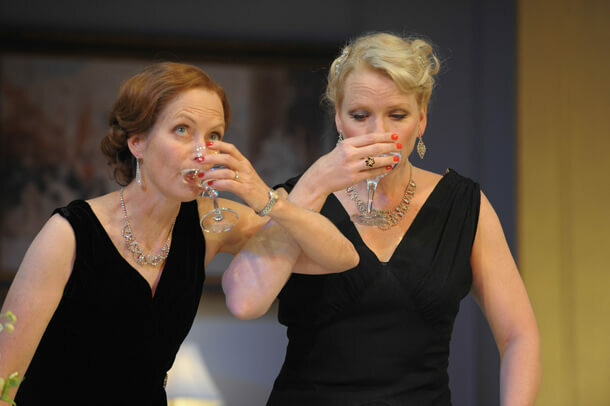 Best friends Julia and Jane are played by Jenny Seagrove and Sara Crowe, who enjoy a little too much champagne as their detached husbands leave to play golf, and the promise of a visit from an ex-lover of them both materialises. As the drink flows, truths and jealousies are revealed and the evening descends into chaos. The intense finale peaks as their husbands unexpectedly return. The play will is being performed at the Theatre Royal Windsor, Tue  Sat 8pm, Thurs 2.30pm, Sat 4.45pm. Contact number: 01753 853888. Ticket prices vary. Voodoo Fire, a Jimi Hendrix tribute band, will also be visiting Windsor and Maidenhead on January 25th at the Norden Farm Centre for the Arts, for an evening of live rock n roll. The band will perform a set-list of Hendrixs greatest hits, including Voodoo Child, All Along the Watchtower and Purple Haze, among many more. The band consists of Johnny Cranmer on guitar and vocals, Phil Tidy on bass and vocals, and Terry G on the drums. The trio have been praised for their accuracy and loyalty to Hendrix himself by none other than Brian May, legendary guitarist in Queen. The evening starts at 8pm on January 25th. Tickets are £16. This is a standing event with limited allocated seating.